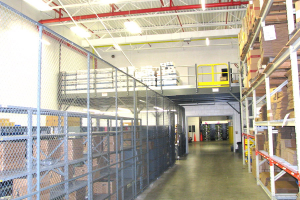 Looking to protect and safeguard items stored in your warehouse? Need a solution that can be implemented quickly and can be re-configurable to meet your ever changing needs? 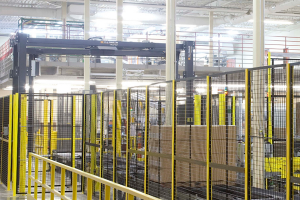 Grace Material Handling can customize wire partitions to solve all of your secure storage needs quickly and affordably. Do you need to protect manufacturing equipment in your facility? Or are you concerned about safety issues and looking for solutions for protecting your employees from dangerous manufacturing machinery in your warehouse? 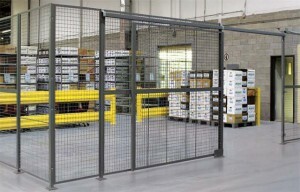 Our wire partitions are the perfect solution for all your secure manufacturing needs. If you are in need of a secure storage area for your military facility or government building, our team at Grace Material Handling has the expertise to customize a solution for you. We have over 30 years experience working with government organizations and are confident that you will be satisfied with our service. Keep harmful substances off the street with our (DEA) drug storage cages. Our drug storage cages meet both the US Drug Enforcement Administration’s requirements for physical security of Schedule III through IV controlled substances as stipulated in Title 21 CFR Sections 1301:72-1301.76 physical security controls. Need a Wire Partition Quote? 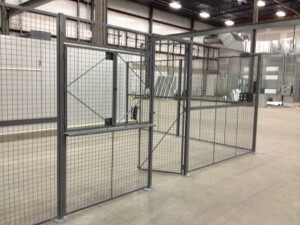 Just fill out our short form and one of our wire partition experts will contact you right away.